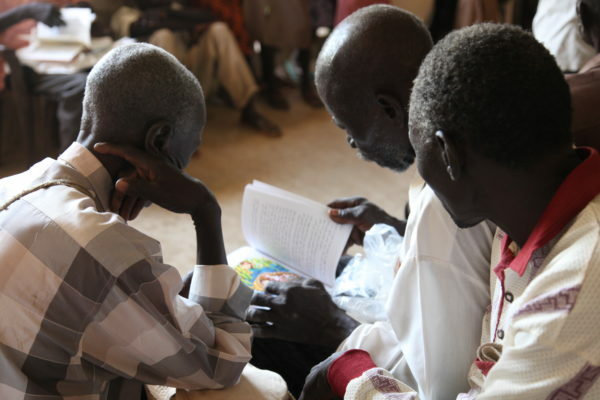 “How can you guide your flock when you, as the shepherd, are also being persecuted?” Pastor Al Kam Jaranabi asks while sitting under an acacia tree with other church leaders in the war-torn Nuba Mountains of Sudan. Pastor Jaranabi raises a valid point: maintaining faith during wartime is no easy challenge, especially when you are the main target. Since 2011, the Sudan government has sought to defeat rebel fighters in the Nuba Mountains who, after years of neglect from the central government, demanded greater autonomy in their remote border region. The rebel movement has fought the government to a cyclical standstill with no clear winners since the conflict started. The Sudan government’s opposition to the Church is no secret. Sudan authorities have imprisoned pastors and evangelists, refused to issue building permits for new churches, and even bulldozed several churches in broad daylight. 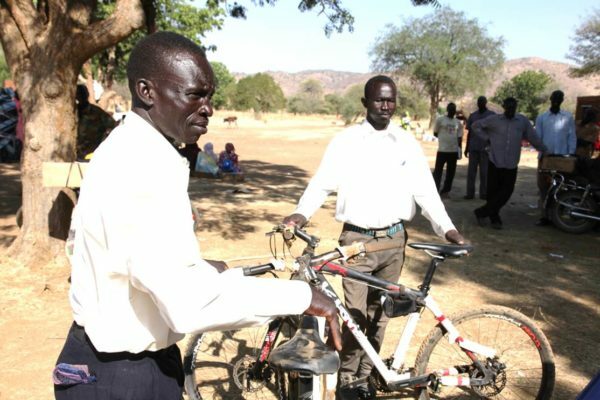 It is within this environment that pastors in the Nuba Mountains try to spread the gospel. Pastor Ismael Suleiman remembers how challenging it was to even become a pastor. Suleiman had to walk for two days to reach a theological college in the rebel-controlled capital, Kauda, fraught with dangers along the way. 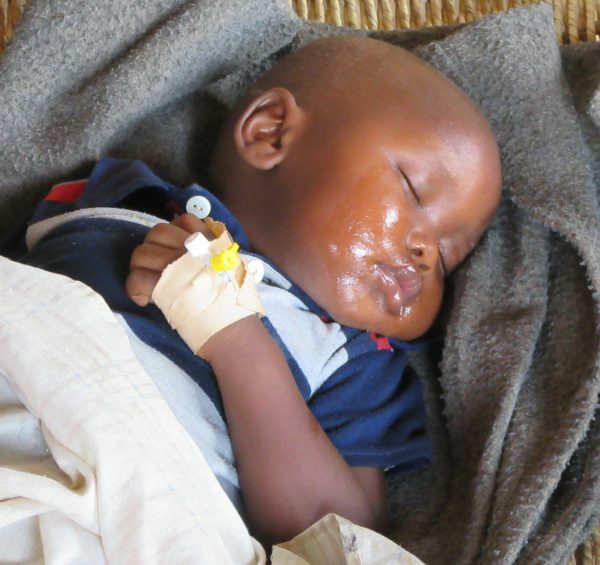 “While we were walking to Kauda we got ambushed by a government militia,” Suleiman recalled. “Imagine, we were just trying to go to our graduation ceremony.” The gunmen killed two of Suleiman’s colleagues while he hid in tall grass. “We were just hiding in the grass where everyone could see us, but God somehow covered us, and they walked past without seeing us.” The incident helped strengthen Suleiman’s faith and confidence that the Lord would protect him through all the challenges of war. With warplanes circling above and cut communication lines, finding time and means to preach is difficult. The year 2015 was especially bad, Pastor Jaranabi remembers. 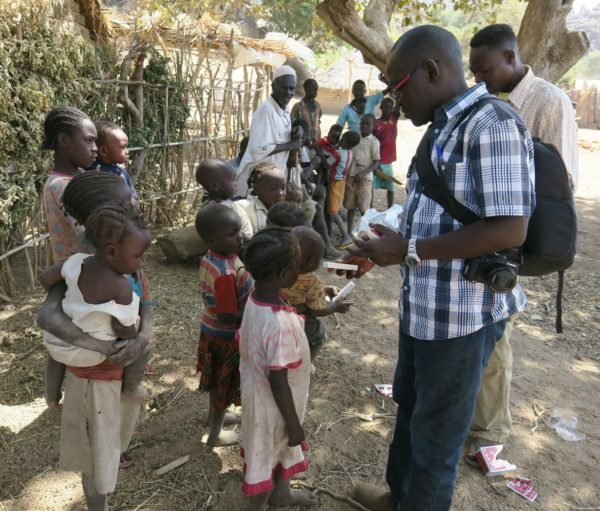 In 2015, over 1,000 bombs, including cluster bombs, were dropped on civilian targets in the Nuba Mountains, according to Nuba Reports, a media house that monitors these attacks. 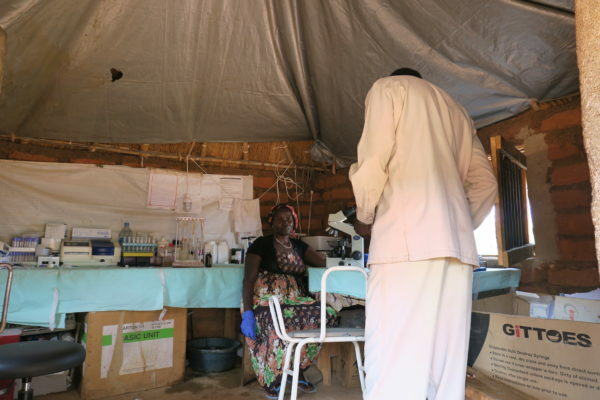 The Sudan government has dropped over 4,000 bombs on civilians in Nuba since the conflict began. “It reached a point where believers and pastors alike were distracted by the bombings, we were too busy running for shelter, searching for what little food may be available,” Jaranabi admits. This is the crux of the problem: the war has displaced communities to the point where believers are scattered with no easy means of communication to re-engage with the faithful. “We pray as individuals all the time, the war encourages that,” Jaranabi said --with many fellow pastors chuckling in agreement. “But we never prayed together as Church leaders, or even knew of each others’ welfare until now.” Pastor Jaranabi made these comments while attending a pastor’s conference in Ursalia at the Ursalia Missionary Church last November. It was the first time for him to reconnect with other pastors from within his home county, he said. 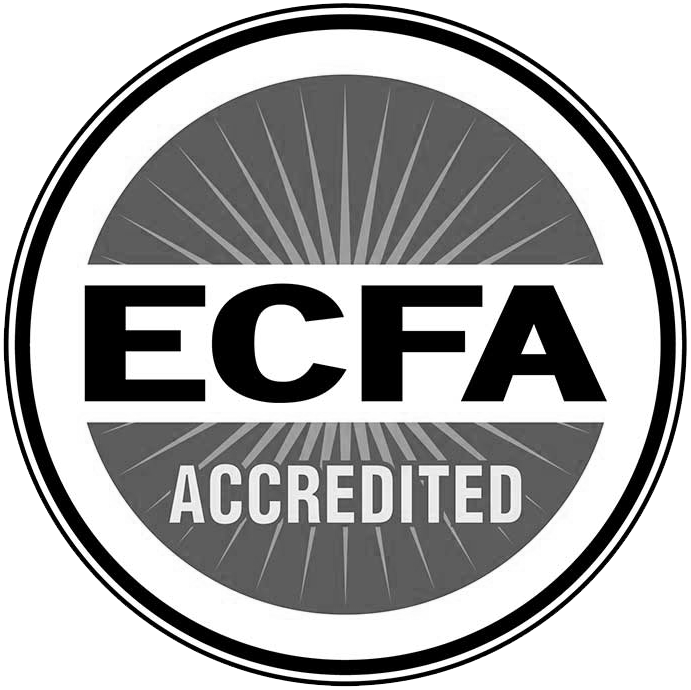 One of many successful conferences, over 100 attendees participated in the event, bringing together pastors from several counties and denominations. 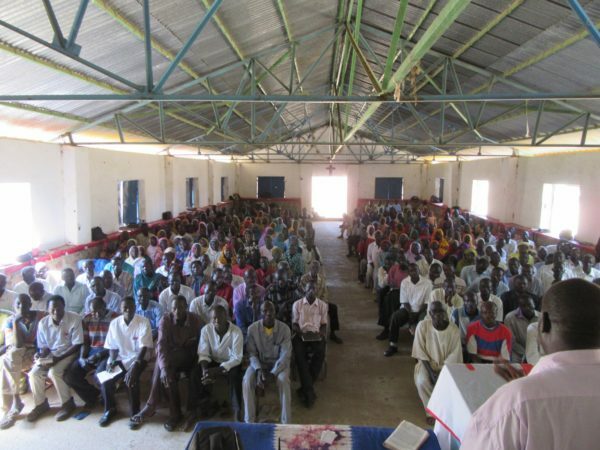 Since 2015, Persecution Project Foundation (PPF) has organized many pastor’s conferences, inviting church leaders from all over the Nuba Mountains to congregate, reflect, share experiences and organize. PPF has managed to get some church leaders together for the first time, and now the church community is requesting more and more conferences to take place. 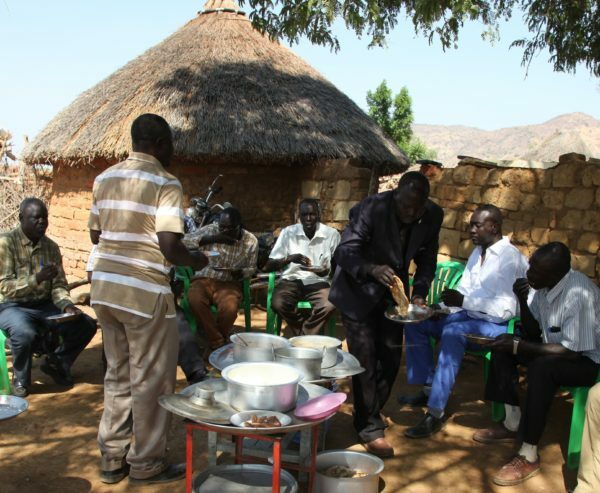 Unlike in Sudan’s capital Khartoum, religious tolerance thrives in Nuba culture, where it is not uncommon to see Muslim and Christians within one family. “The government tries to target us using religion but this cannot happen here, we respect one another,” Pastor Ofendi said. At the end of the Ursalia conference, a number of plans were formed during the meetings – including a way to spread the gospel to the camps of internally-displaced persons (IDPs). The pastors have voluntarily agreed to work in pairs and reach out to several areas of displacement to offer prayer and worship where access to a church remains limited, Ofendi added. One activity that seems to occur at every conference PPF helps facilitate: a corporate prayer for the war to end. “I don’t want this war, none of us do, and we always pray for it to end,” said Pastor Suleiman. Just days before the president pardoned Abdelrahim and Abdelmoula, Khartoum state authorities destroyed another church 19 kilometers outside the capital in Soba al-Radi. Authorities under the Ministry of Planning and Development bulldozed the church on a Sunday, May 7, as Christians prepared to worship. The government said in a statement the church was built on land allocated for residential use. The church is among 25 other churches the state has marked for demolition in a June 2016 letter, claiming they were all built on land zoned for other purposes. But according to Pastor Elias Abdelrahim, who manages the Soba al-Radi Church, the building was first built on empty land in 1986 and they have been trying to attain legal documentation ever since. (Muhanad) Nur, who also represents the now demolished church, said the government had provided land registration certificates for several mosques in the area but not the church – despite its long tenure. Nur had filed a 15-day abstention with the court of appeal to block the church’s demolition but the government ignored the court order. Three congregations used to attend Soba Al-Radi Church since it was the only church in the area following the demolition of 12 other church buildings over the past six years, news reports said. Sometimes over 200 people would pray there, Abdelrahim said. “Now we gather at the church’s yard to pray, because we fear the remains of the building may fall on our heads,” he said. The parliamentary chairman of Sudan’s Legislation and Justice Committee, Ahmed El Tijani, defended the demolition in a statement, claiming the move was purely for land ownership reasons and not based on religious discrimination. A month earlier, a group raided the Evangelical School of Sudan to quell a protest and killed church elder Yunan Abdullah. 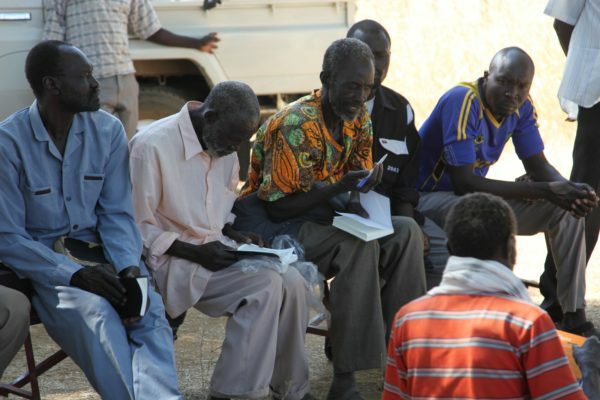 The April raid represented another move by Sudanese authorities to grab church land for investment, the Sudanese human rights Sudan Democracy First Group reported. 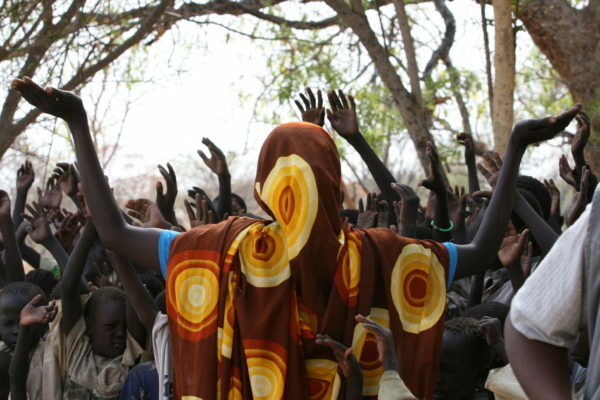 An armed group supported by Sudan’s ministry of guidance and endowments attacked civilians at the Evangelical School, Christians who had staged a protest against the attempted seizure of the building, local sources told Nuba Reports. Abdullah had rushed over to the Evangelical School from the neighboring Bahri Evangelical Church to help defend the protesters against the armed group. One of the members of this group stabbed Abdullah, who died of his injuries in a nearby hospital. Abdullah is survived by his wife and two children. 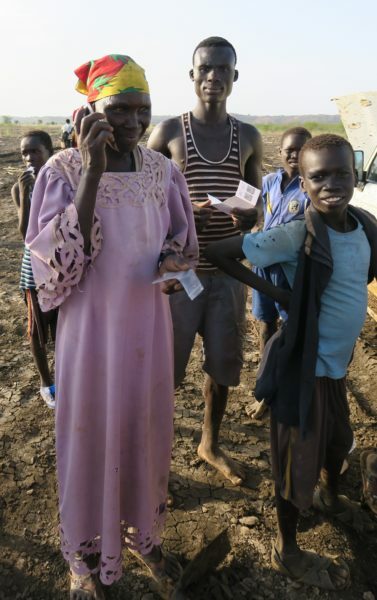 This state persecution of Christians appears at loggerheads with the October conclusions of the National Dialogue, a state-led peace initiative ostensibly designed to end Sudan’s internal conflicts. The conference attendants, including government and some opposition parties, concluded the event by issuing a National Document that makes at least four references to religious diversity, the freedom of worship and to end religious discrimination in Sudan. 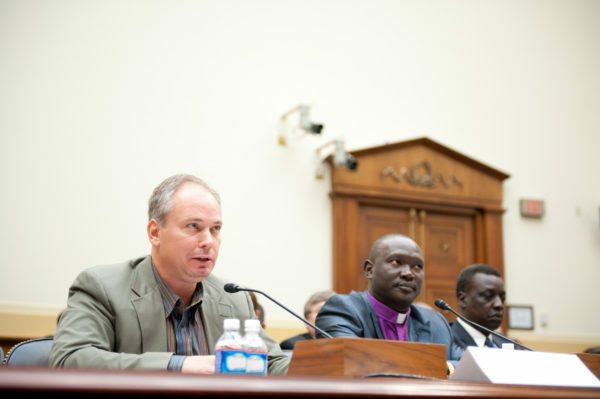 Sudanese authorities continue to target Christians, however, seemingly apathetic to these events. “You can’t imagine how this government works sometimes,” Nur said. “Human rights defenders, Christians, among others, are just locked up without any consideration of the consequences.” One explanation for this may be that government institutions are not in control – instead, divergent units within the security apparatus call the shots. 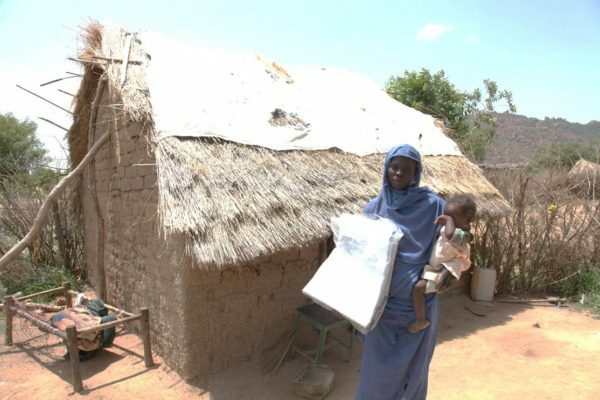 Sudan’s foreign ministry made several promises to the Czech government to release Jasek, for instance, which were unfulfilled. The justice ministry also often works at the behest of NISS and controls the courts, he added. Nur agrees. 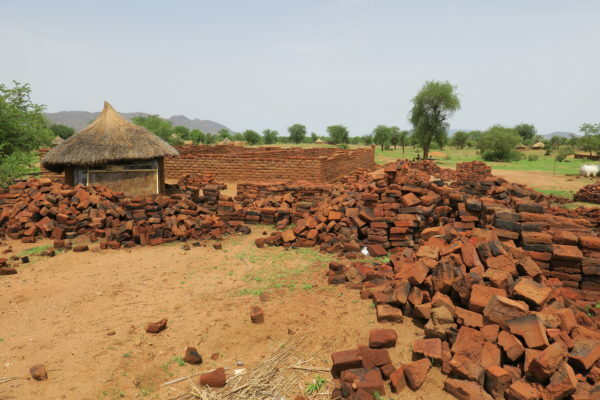 In the midst of writing this article, authorities demolished another church in an area called Kalagala, south Khartoum, Abdelrahim told Nuba Reports. In this environment, Abdelrahim still fears conditions for Christians will deteriorate further in the years ahead. Security forces continue to monitor his movements upon his release. PPF’s Safe Water Program set a goal in 2017 to repair 77 broken well pumps in some of the most remote and difficult to access places of Sudan’s Nuba mountains— an area which has been under a government-enforced humanitarian blockade since 2011. Our ministry partners poured into this program, and we were able to position enough fuel and spare parts in the Nuba to achieve our goal. At press time, our Emergency Borehole Repair Team had completed their 74th repair for the year! We have nearly reached our goal— thanks to God working through your generosity! Please pray for the continued safety and success of our team, and that many Nuba people will be introduced to the “Water of Life” through our Safe Water Program. "Despite being locked up for over a year, the whole legal process was actually six months," Jasek said. "It took them [state prosecutors] about three months to raise their concerns and then our lawyers were able to destroy their accusations in three hours." "I was in five different prisons in total," Jasek said. "Usually the transfer meant that conditions were going to be even worse." 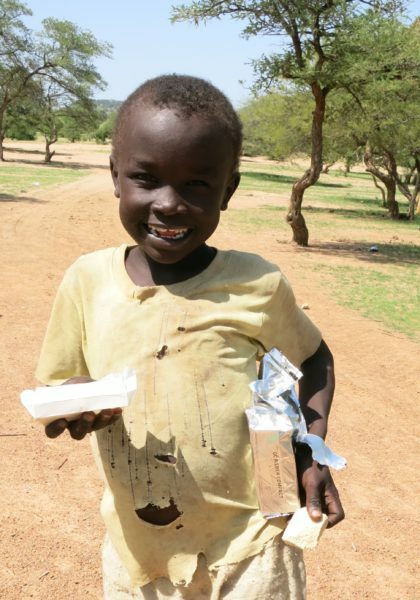 Our favorite part of this work is visiting our persecuted brothers and sisters in the war-torn Nuba mountains of Sudan. We love the fellowship we have together. We love the smiles and jubilation of people when they realize that their prayers have been answered and they have not been forgotten. But 90 percent of the “real work” is far less glamorous— but just as important. It is the “dirty job” element of ministry. Do you know PPF has a special fund called “Transportation and Logistics?” This doesn’t sound as important as our “Safe Water,” “Medical” and “Discipleship” programs, but believe us, it’s vital. What good are several tons of medicine and emergency food if it just sits in a warehouse because it can’t be delivered to those who need it most? This is why we say “mud is ministry!” The nitty-gritty, numbers-crunching, mud-boggin’ part of this organization is the bridge connecting your love and compassion with those who need it most. 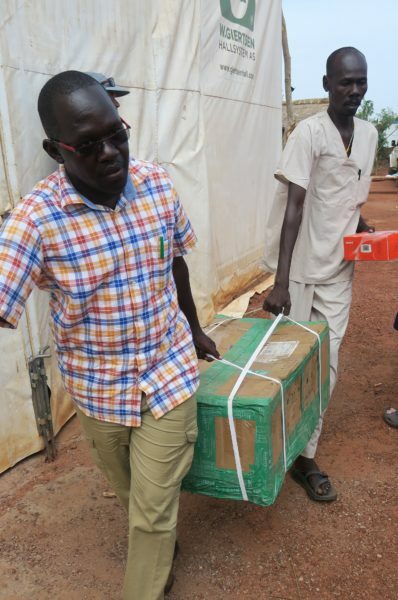 On a recent outreach, we delivered several more tons of medicine and emergency food aid to the Nuba mountains. But the road wasn’t easy. In fact, it was a muddy mess. The seasonal rains had come early, and at one point, we spent 6 hours moving about 600 yards! Just that one journey resulted in a broken quad-bike axel, burned out clutches in two Landcruiser pickups, and two broken vehicle winches! Your support of PPF’s Transportation and Logistics program is the “grease” that keeps the wheels of ministry turning. 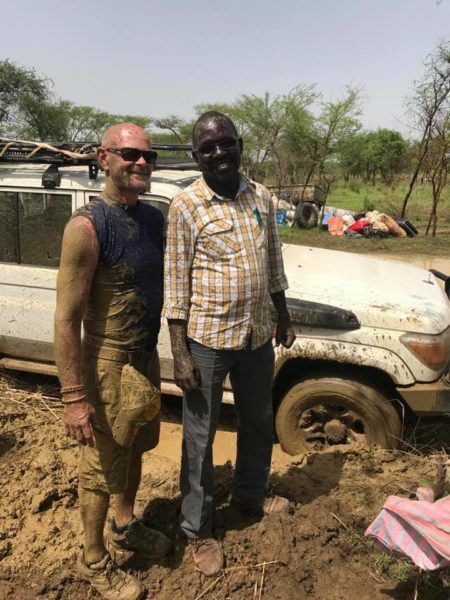 As we enter another season of heavy rains, when the roads in Sudan literally disappear, would you consider making a special gift to this fund today? Scripture shows us what is right, when we are not right, how to get right, and how to stay right. It is sufficient for all our needs. 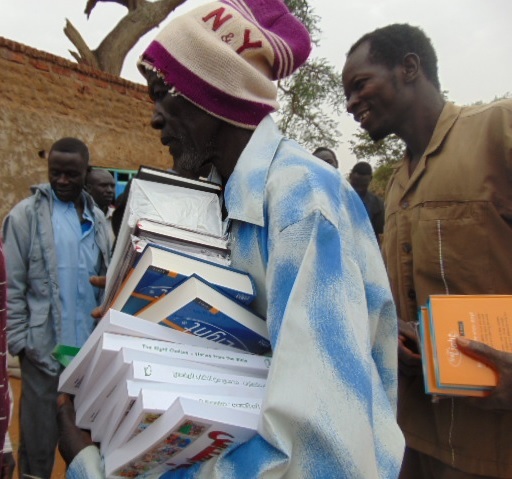 That's the reason we enjoy distributing Bibles, whether they are hard copies or audio Bibles. Lives are illuminated and transformed. It is the only thing that truly has the power to change lives, and the change is always for the better. When we read the Scriptures, we see Christ. When the Word of God dwells in us richly, we become more and more like Him.